Do You Really Need Hydroquinone to Lighten Skin? Hydroquinone is an organic, aromatic, compound produced industrially. 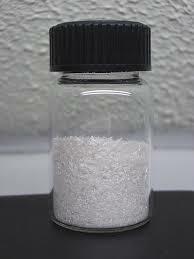 It’s a granular solid, white in color. It’s one of the most toxic ingredients used in over the counter skin lightening products. It’s a controversial compound around the world. Here, I'll discuss the impacts it has on skin and how it’s used. Discover natural ways to fade dark spots and lighten skin. Find homemade recipes and natural beauty tips! Avoid harsh chemicals! Get back to nature! Hydroquinone lightens dark patches of skin. It’s found in small percentages in over the counter topical applications. Those with hyperpigmentation, age spots, liver spots or freckles may want to reduce the visible signs. The proper use is extremely important. Improper use can cause unwanted skin lightening and sensitivities including: puffiness, blistering, itchiness or moderate to severe redness. Read all labels carefully before use. Heed all cautions! If in doubt, contact your health care provider before use. Hydroquinone has been linked to a condition known as Ochronosis, in which skin becomes thick and dark. Yellowish or gray-brown spots, with dome shapes, have been observed among black people around the world. Ochronosis is noticed in anyone using cosmetics, with this compound, for short or long periods of time, even if the amount is as low as 2%. Hydroquinone is banned in Europe, Japan, Australia and around the world, due to toxicity. High levels of mercury are reported. Abnormal function of adrenal glands are reported in people using cosmetics with this compound. It may contaminate Tocopherol Acetate in manufacturing. The FDA approved it, but since August 29, 2006 revoked its approval stating, "hydroquinone cannot be ruled out as a potential carcinogen". The FDA currently classifies it as safe, as currently used. It can be effective for skin lightening, when used properly. It can also cause skin sensitivity. Currently in the USA over the counter topical products, with up to 2% hydroquinone, may be sold without a prescription. Prescription skin lightening products may contain up to 4%. A new FDA proposed ban requires FDA approval on any skin lightening products sold to the public, without a doctors prescription. It's unknown whether or not this ban will take affect. A four month period, discussing regulation changes, will take effect afterwards by physicians, consumers and skin care companies. During this time all opinions are noted. A product containing hydroquinone should be packaged in a non-transparent, air tight, container. Daily exposure to sunlight or air can change its color to a strange colored brown. Instead of using harsh chemicals to lighten skin, consider doing it naturally. There are ways to fade dark spots or discolorations, without using harsh chemicals. Try diluted lemon juice or german chamomile. Diluted lemon juice can: fade dark spots/discolorations, tighten and lighten, reduce oily complexion, exfoliate dead skin cells and diminish acne and scars. German chamomile lightens skin. Reduce inflammation, fine lines, wrinkles, acne scars, puffiness and, under eye, dark circles. Feed your body the proper nutrition and keep your skin hydrated! Fade dark spots, discolorations and lighten skin from the inside out! Mix 1 tsp. of honey, 1 drop sweet almond oil, and 3 drops of diluted lemon juice for a homemade face mask. Apply mixture to face for approx. 15 - 20 minutes, let stand, then rinse with cool water. Pat dry. Boil 1/4 cup tap water for 3 minutes. Let cool. Pour cooled water in a 4 oz. storage container or spray bottle. Add 1 tbsp. witch hazel, 1/2 tsp. vegetable glycerin, 5 drops clary sage essential oil, 5 drops grapefruit essential oil and 5 drops german chamomile essential oil to cooled water. Shake mixture well to blend. Place small amount of mixture on cotton ball. Gently dab cotton ball on clean face. Avoid eyes, ears, nose, mouth or any other sensitive areas. Afterwards, apply a moisturizer. VITAMIN C and K: Eat foods rich with vitamin C or K: oranges, spinach, grapefruit, broccoli, cabbage, strawberries. Replenish damaged skin cells with healthier ones. 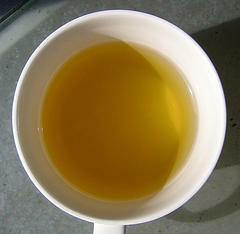 GREEN TEA: Place refrigerated green tea bag under eyes. approx. 15 minutes, to reduce under eye puffiness and dark circles. Remove tea bag. Continue as needed. WATER: Water keeps the body hydrated, replenishes skin tissue, flushes out toxins and provides skin with a radiant glow. The Mayo Clinic suggest the “8 x 8” average rule of drinking eight, 8 oz., glasses of water everyday. Drink water and keep it in skin cells! There are many ways to lighten skin, naturally. Don't waste money on manufactured chemicals that may be damaging to skin. Get back to nature. Avoid harsh chemicals. Your body will love you for it! Find homemade skin care tips! Learn how to look beautiful, naturally!